Identify potential opportunities to reduce the impact of operations on the environment and implement procedures to do so. 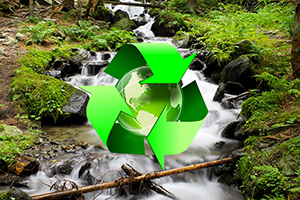 Recycling practices in manufacture, operations and administration. Responsible and acceptable waste disposal practices. Identify, quantify and control chemicals and physical agents in the work environment. Establish and maintain appropriate responses and reporting systems applicable to environmental protection at all levels. Vehicles, plant and equipment that meet Environmental Protection Standards. Cooperation with government and other bodies concerned with and responsible for environment protection strategies. Adequate induction and ongoing training of employees to operate within the accepted guidelines and regulations. Manufacturing infrastructure to improve energy efficiency of production processes. As a result of our environmental actions we have decreased our total energy usage, at our Geelong Head Office site alone, by 51%.